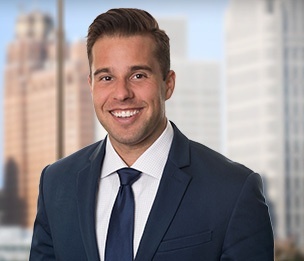 Samuel R. Kilberg is an associate in Dykema's Bloomfield Hills, Michigan office. Mr. Kilberg focuses his practice on real estate matters. While in law school, Mr. Kilberg served as an Associate Editor of the Law Review, and also as an Extern to the Honorable Michael Warren in the Oakland County 7th Judicial Circuit Court where he researched legal issues, drafted memoranda, orders and opinions. As a student, Mr. Kilberg participated in Mock Trial and was Treasurer of the Board of Advocates. Mr. Kilberg was on the Dean's List every semester of law school and received a jurisprudence award in Secured Transactions. As a Student Clinician at the MSU College of Law Housing Clinic, Mr. Kilberg assisted low-income residents with all aspects of the landlord-tenant relationship. Prior to law school, Mr. Kilberg worked as a Legal Processor/Tax Specialist in Troy, Michigan. While at Michigan State University, Mr. Kilberg was a U.S. Department of State Benjamin A. Gilman Scholar sending him to study at the Harbin Institute of Technology in Harbin, China.